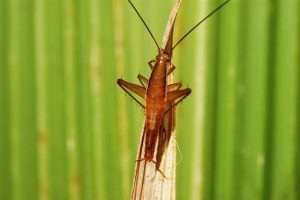 Despite your basic knowledge of cockroaches as uncomely, disease-ridden and vexatious, there are a number of awe-inspiring facts to learn more about these six-legged freaks. (i) Cockroaches are cold-blooded in nature and have been in existence for 359 million years, i.e. they have existed longer than dinosaurs. They can live under cold temperature as low as 32-degree Fahrenheit. How did they manage to survive for so long when so many other creatures have already become extinct? (ii) There are over 4,000 species of cockroaches on Earth, with one kind capable of surviving in the desert by using its unique mouth structure to absorb water vapor when there’s no water around. Another species known as Saltoblatella Montistabularis or Leaproach discovered in South Africa can even jump like grasshopper! The longest cockroach named Megaloblatta Longipennis native to Central and South Africa measures up to 3.8 inches in length with 8-inch wingspan. 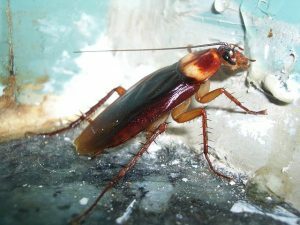 (iii) Cockroaches have the danger of triggering asthma. (iv) Cockroaches feast on all sorts of things in addition to human food. These include soap, wood, glue, carcasses of insects, cloth, paper, hair, and even feces. 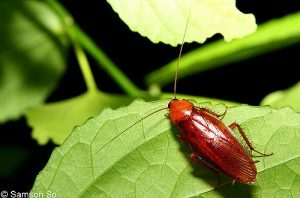 Roaches can live without food for weeks due to their naturally low metabolism rate and can survive without water for up to 2 weeks. (v) Cockroaches spend 75% of their time resting. (vi) It is not easy to drown a cockroach for it can hold its breath for up to 40 minutes in water. Roaches inhale air through spiracles in their bodies and they close their spiracles when immersed in liquid. (vii) If you cut off a cockroach’s head, it can still survive for a week without its head. (viii) Cockroaches can survive a nuclear holocaust, for they can withstand high radiation exposure. Roaches were found alive in Hiroshima, Nagasaki and Chernobyl after the nuclear bombings. Scientists believe their survival was related to their slower cell cycles which molted only once a week. (ix) Cockroaches are edible. You can find deep-fried roaches in Thailand and China. Bon appetit. Having pesky roach problem? Call AntiPest today at 03-8023 1888 for our professional cockroach control and solution.